Why do Unionists Hate Foreigners? I am truly confused as to what Unionists hope to achieve with their incessant campaign against foreigners. This week it was Brian Wilson, former Labour MP and minister, who churned out the claim that when Scotland becomes independent, people living in England will become foreigners. Usually this goes along with a more specific assertion along the lines of my son, daughter, brother, sister, close friend or whoever will become a foreigner. This is always intoned in a way to make it clear that being a foreigner is a bad thing. What is it that Unionists have against foreigners? It is also curious to note that this disdain against foreigners only seems to apply to England. Wales and Northern Ireland rarely get a mention in the pro-Union campaign. Perhaps Unionists have an England fixation? The serious point is what practical difference does it make if a family member or a close friend lives in foreign country? This must be a pretty common occurrence nowadays. For example I have a daughter and a grandson who live in Switzerland, which is about as foreign a country as you can get. My grandson was even born in Switzerland and his father is Italian. Good God, how do we manage? According to Unionists my daughter and grandson are foreigners. This is of course complete nonsense. Wherever they happen to live, my daughter and grandson will never be thought of as foreigners to us. The fact that they live in a foreign country is just irrelevant. Now I am not alone in this. Never mind the thousands of Scots who have family members and friends living abroad outwith the UK, just think of the many thousands of Scots of Pakistani, Indian, Irish, Polish, Chinese, Italian origin, to name but a few nationalities. Most of them will have family members and friends still living in their countries of origin. Are they all regarded as foreigners? What for example of Anas Sarwar, Deputy Leader of the Labour party in Scotland? His father was born in Pakistan. Does Anas have any family members still living in Pakistan, which by all accounts is a foreign country. How does Anas regard these family members? Are they less worthy of respect and love than those family members living in Scotland? I just do not believe this is how people work. Family members and friends remain family members and friends wherever they live. So why do Unionists continue to make this apparently heartfelt plea not to make people living in England foreigners? It cannot surely be a none too subtle attempt to get voters with family and friends in England to vote no? If so, I am not sure how effective this crude emotional appeal will be. After all it may have the opposite effect as all this emphasis on England may well antagonize those of us who either do not have family members in England or do have family members living in other parts of the world. Perhaps it is just something very simple – Unionists are fixated on England and cannot see Scotland other than through an English prism. May not be the smartest of moves. UK = Never Ending Austerity? The admission by the Labour party at Westminster that they too have now signed up for yet more and more austerity is unexpected, yet still a bit depressing. There is nothing very democratic about general elections in the UK when all the main parties have already signed up for the same policies. The only differences were those of degree and timing, though even that seems to no longer apply. It is not a very appealing prospect for voters in 1915. It is even more pertinent for those of us living in Scotland. We will, in the referendum in 1914 have the chance to blow this cosy Westminster consensus right out of the water. For it is now crystal clear that a No vote will mean more and more and more austerity. Not just in England, Wales and Northern Ireland, but here in Scotland too. Scotland’s resources will be used once again to prop up the failed UK state instead of promoting economic growth in Scotland. Irrespective of how we vote in Scotland this is what will happen as a result of a No vote. Whether it is Labour, Conservative, LibDem or some coalition, never ending austerity is what awaits us. The people who live and work in Scotland will have no say in what happens to the wealth and taxes raised in Scotland. Once again we will be expected to meekly accept whatever Westminster graciously condescends to send up north. This is another example of the so-called Union Dividend. Some dividend after three centuries of Union. At least we now know what a No vote means in terms of the economy – more and more austerity. This does not of course mean that an independent Scotland will become overnight a land of mild and honey. The point of independence is that these key decisions on taxes, economic strategy and welfare spending will be up to us – the people who live and work in Scotland. We will not be dependent on the choices and decisions of others. We will not be able to blame others. There are two key issues here. The first is that evidence from around the world indicates overwhelmingly that small countries are better governed and more equal than larger countries. Virtually all the global indices on economics, wellbeing, education, happiness etc show a preponderance of small countries at the top of the list. It is not really surprising. Governments that are closer to the people who elect them are much more likely to be better governments. It is much easier for the people living and working in Scotland to hold government ministers in Edinburgh to account than ministers way down in London. UK ministers are not just concerned with Scotland after all. The not just bit is itself an overstatement. There is precious little evidence that UK minister give any thought to Scotland when it comes to decision making. As we only account for less than 10% of the UK population we should not be surprised with this. So if we want a government that is responsible to and accountable to us and only to us, then we need independence. Breaking out of the UK austerity straight jacket is just one more reason for voting YES in 2014. Once again we are treated with demands from Unionists for clear answers to all kinds of spurious questions about an independent Scotland. All are based on the erroneous assumption that everything will remain just as it is in the rest of the UK. This of course is arrant nonsense. So as a first attempt to look at how Scottish independence will affect the rest of the UK, this post is devoted to asking some very specific questions for the UK government to answer. 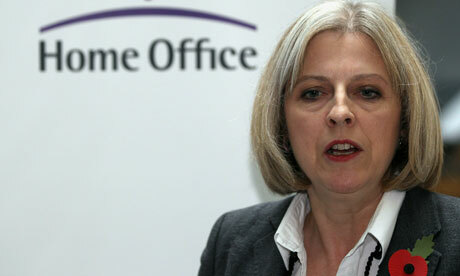 I have begun with Theresa May as she recently raised the issue of “British” passports for Scots after independence. But as I have pointed out elsewhere, Scottish independence will not change things just for Scots. For example the rest of the UK will become on Scottish independence a new state. As such it will need a new name. While it can and probably will want continue to use UK as a shorthand, it will still need a full name and one that is internationally recognised and accepted. I will not begin to offer advice to the people of England, Wales and Northern Ireland on what this name should or could be, but for the purposes of this post the new state will be referred to as Newstate. The questions below are about what will happen to people living in England, Wales and Northern Ireland and to people from England, Wales and Northern Ireland who live elsewhere, but would want to become citizens of this Newstate. So how about some clarity from the UK. 1. What will happen to “British” passports in the period between a yes vote in September 2014 and April 2015, when Scotland actually becomes independent and when Newstate comes into being. If someone from England needs to renew their passport in this period or someone applies for a first passport in this period, what passport will they be given? During this period the current UK continues to exist, so the current “British” passport could still be issued. But of course this just raises the question of what happens after April 2015. Will this Newstate not want to issue their own new passports during this period? 2. What happens to “British” passports which are not due to be renewed until some time after April 2015. A “British” passport issued in August 2014 would normally remain valid until 2024. Can they continue to be used, even though the issuing state – United Kingdom of Great Britain and Northern Ireland – no longer exists? Will Newstate require all “British” passports to be returned to be re-issued in the name of this Newstate? Or will holders of “British” passports be required to take them to their local Post Office to get them overstamped with the name of Newstate? 3. What will people write under nationality in passports for Newstate? “British” passports currently use the term British citizen under this heading. It would seem unlikely that Newstate will be able to continue to use that term. After all Scotland even after independence will still remain physically and geographically part of the island of Great Britain. Surely Newstate would not be so arrogant as to assume as its nationality a name that belongs to all of Great Britain and not just its southern two thirds? 4. Has the current UK government undertaken any advance planning for the above questions? Or is the current UK government’s position one of keeping its head buried in the sand until reality comes upon them? There are of course many other questions to be answered in relation to passports in the light of Scottish independence. Some will be of direct interest to people living in Scotland. But in this post I simply wanted to demonstrate that Scottish independence will have significant effects on the people living in Newstate. Even on something as relatively simple and everyday as having a passport. As I will not be living in this Newstate, it is not for me to press Theresa May on these questions, but some residents in England, Wales and Northern Ireland just might want to know what planning if any, their government has made for Scottish independence. British Passport – Going, Going, Gone? Yet more childish scaremongering from our Unionist friends. This time it is Theresa May, Home Secretary at Westminster, who has opined that if Scotland becomes independent, then we will lose our British passports. I have news for Theresa, so will the people of England, Wales and Northern Ireland. Her assertions are typical of the ignorance that surrounds the whole debate about Scottish independence. Though as an intelligent and well educated person, Theresa May must know better. So I can only assume that she, like most Unionists, is simply an inveterate liar when it comes to Scottish independence. Let us calmly take a look at that little word “British”. On my current passport it states under Nationality, that I am a British citizen. However when I look at the cover of the passport and the wording inside I find that the state that issued this passport is clearly denominated as United Kingdom of Great Britain and Northern Ireland. Now that even tinier little word – “and” gives the game away. For both logically and in reality, this signifies that Northern Ireland is not part of Great Britain, but a separate place. It was only in 1927 that this became the legal name of the state. Prior to this, from 1801, the name of the state was United Kingdom of Great Britain and Ireland. Again note the use and significance of that little word “and”. For the century or so before this the state was officially known as the Kingdom of Great Britain as a result of the Treaty of Union between England and Scotland in 1707. No doubt this is when the term British became normal as an adjective to describe the state of Great Britain. Nowadays it is often used in this way – to refer to the whole of the UK. However it can only properly be used to refer to Great Britain and not the UK, in whatever of its two versions. Only if the term British is used to refer to the British Isles can British be used to include Ireland. Even then it has to include the whole of Ireland and not just the six of the nine counties of one of the Irish provinces which currently form part of the UK. However the term British Isles is not much used nowadays. One can see the evolution of the term in the name of the current rugby squad which is touring Australia. This collection of players from England, Wales, Scotland and Ireland was originally known simply as the British Isles. It then became known as the British Lions, which is how I remember them as a young boy. But now of course they are the British and Irish Lions. Such comparatively trivial matters merely confirm that the term British can really only be applied to Great Britain. Back to my passport and the threat that Scottish independence poses to not just my passport but to all “British” passports. For with the independence of Scotland the United Kingdom of Great Britain and Northern Ireland ceases to exist. Now what remains of the UK may be granted status as the successor state, but what it cannot do is continue to call itself by that name. It may well want to continue with the UK bit, but it would then have to become the United Kingdom of England, Wales and Northern Ireland. Which is a bit of a stretch and not very historical. There has never been a Kingdom of Wales, which was invaded and annexed by the English way back in the 12th century or so. Northern Ireland of course is not even the full province of Ulster, let alone a Kingdom. Not that this is likely to bother the political elites in England. They have a history of riding roughshod over the feelings of others. 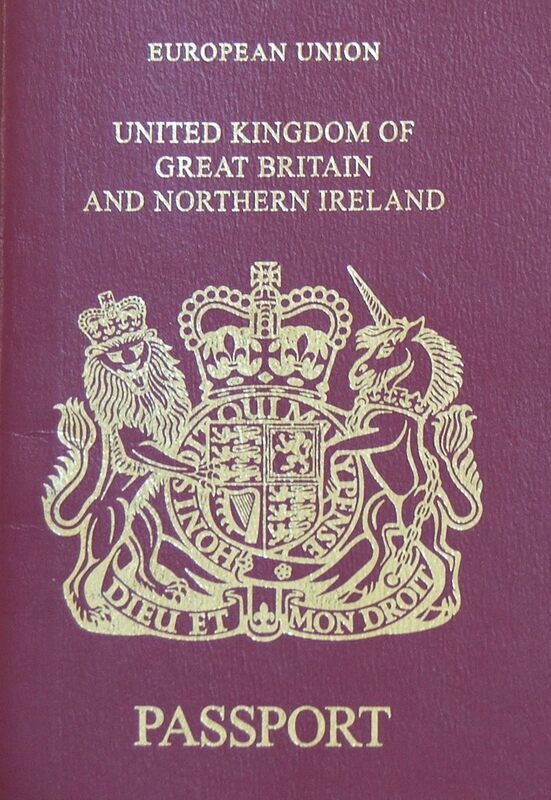 Whatever the case, as the new United Kingdom cannot include the words Great Britain in it, all its citizens will need to be issued in due course with new passports. This new United Kingdom will also have to decide what to put under Nationality in these new passports. It can hardly be “British” as this new state will not include all of Great Britain in it. A minor detail no doubt. What is not in doubt is that everyone will lose their “British” passport in the event of Scottish independence. Theresa May also raises the prospect that what is left of the UK might decide to deny Scots the option of dual nationality. This can only be yet another example of the bitterness at the heart of the Unionist campaign. All sweet words of being one big happy family go out of the window. If we Scots dare to vote for independence our current fellow citizens in England will want to punish us severely. Alone among nations, we Scots will be denied the option of dual nationality. The constant threats that emerge from Westminster – we will not allow you use our pound, we will not share anything with you etc, etc – only reinforces the reality that the Unionist elites in England either hate us Scots or they fear for the future of the rest of the UK without Scotland. I do not believe for a moment that they hate Scots or Scotland. So it can only be that people like Theresa May realise that without Scotland, what remains of the UK becomes a much smaller and poorer place and one with less power and importance in the world. To avoid this happening they are prepared to lie and threaten us with all sorts of calamities. Does not sound like the best way to go about influencing people. Once again we are treated to the unedifying experience of watching and listening to our political leaders making fools of themselves. They never seem to learn anything. The latest example of muddled thinking comes in response to the ongoing civil war in Syria. Unable to materially affect this civil war, many Western leaders descend into posturing and making grand gestures. 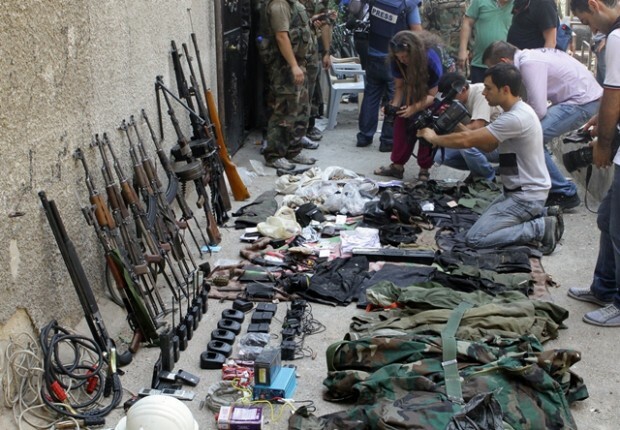 The latest is the decision by the EU to allow shipments of weapons to Syria. A decision led by the UK and France. Interestingly the two former colonial powers in the Middle East and the two European states still harbouring notions of imperial grandeur. Sending weapons to Syria means further arming the opposition. For some reason our leaders have decided to support the various rebel groups in this bloody war. 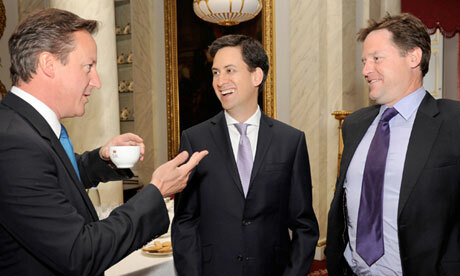 As yet no-one has explained just what vital UK interest is at stake in who runs Syria. We can take it as given that our leaders have no real interest in promoting democracy in the region. I’ll believe that when the UK and France start to impose sanctions on Saudi Arabia and Bahrein, to name but two of our so called undemocratic friends in the region. No matter who is in power in Syria, that relatively small country can in no way threaten the UK or any of its vital interests anywhere. I can only conclude that the UK and alas France too, have colluded in this on the grounds that getting rid of the Assad regime would weaken Iran and might weaken Hezbollah in the Lebanon. Though again this all begs the question of what vital UK or French interests are at stake in Iran or the Lebanon. It cannot be the fear of destabilising the region, for the biggest threat to peace in the region is the ongoing aggression of Israel. About which our great leaders do absolutely nothing. Quite what exactly motivates the UK and France in this instance, other than delusions of grandeur and the need to be seen to co-operate with the USA, is a bit of a mystery. However the practical results of this policy, if carried through, can only be disastrous for Syria. The country already seems to be awash with arms of all shapes and sizes. So providing even more can only result in even more dead and seriously injured Syrians. Not to mention even more refugees fleeing into the Lebanon and Jordan. And who precisely will be the recipients of any Franco-British arms? The Syrian opposition is made up of a motley bunch who at times seem to hate each other more than Assad. The track record of Western armed support and actual intervention in other countries does not inspire one with optimism. The arming of the opposition forces in Afghanistan for example was all to do with opposition to the USSR than any care for the people of Afghanistan. And while the opposition, including a certain Bin Laden, did expel the Soviets, the result was more bloodshed and eventually the Taliban coming to power. The same Taliban that are now fighting agains the Western installed regime in Kabul. For an excellent overview of the dangers of arming rebel groups see this article by Daniel Larison. The ongoing civil war in Syria is a tragedy for the people involved, but it is not clear that there is anything meaningful that we in the West can do to bring it do a swift conclusion. And only a swift conclusion will end the bloodshed. We could invade the country, but having done that with spectacular ineptitude in Iraq and Afghanistan, not many people would regard this approach as much of a way forward. If the UK and France feel compelled to do something to alleviate the suffering then they could perhaps finance and support the various refugee camps that have sprung up in neighbouring countries. But, please to not send even more deadly weapons to Syria. That is the last thing that Syrians need.